I would like to wish everyone, especially those celebrating it, a very Happy Easter. The video is of a traditional Easter anthem sung by Dundee's own Cecilian Choir in our twin city of Orléans. If you are having an Easter Egg I hope it is a fairtrade one. Let me be clear from the start I am opposed to the bedroom tax. 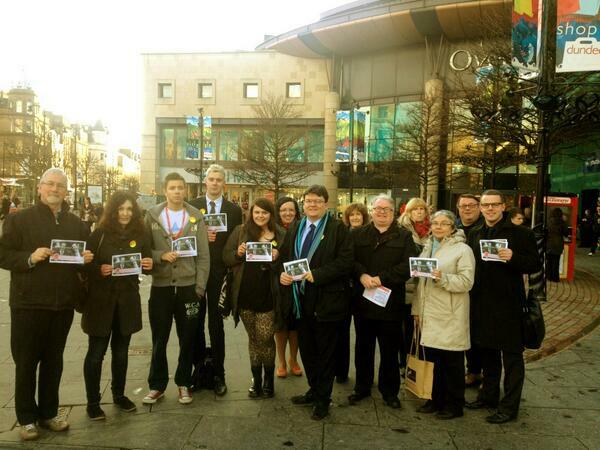 I am also prepared to work with anyone to alleviate the problems that this Coalition Government policy will cause. Recently Dundee City Council had a debate about this policy. The Labour Group put forward a proposal which called on the Scottish Government to use its powers to exclude arrears created by the bedroom tax from being a reason for eviction. We also called upon the UK Government to withdraw this policy and think again. I didn't support the SNP amendment when it was put forward because I believe Labour's motion made more sense and dealt in a very clear cut way with the problem. We looked for action from the Scottish Government which is a reasonable expectation given their professed opposition to the bedroom tax. We did look for a change of heart from the UK Government but this was more in hope than expectation. The SNP amendment, which won the day, is only for a period of one year and in effect we were told that this would mean that it was reviewed after eight months. The SNP amendment puts the Director of Housing in an invidious position. She has to decide whether someone is 'doing all they reasonably can' to avoid arrears. This is a subjective test and in my mind, although I don't think that this was the intention, does take us along the route of deserving and undeserving poor. The Director of Housing is also put in a very difficult position because she has a duty to all rent payers to ensure that she gets best value out of the Housing Revenue Account. I am clear that our policy looked to deal with the problem by using the powers of the Scottish Parliament, where there is an apparently clear majority opposed to the bedroom tax. Councils do need to do all they can to assist people caught up in the bedroom tax but we also need to be clear that we do not have the powers (or perhaps even more importantly, the resources) to deal with all the issues and that there are actions that can be taken by the UK and Scottish Governments which would make a real difference. Cutting benefits to under-occupying tenants when there is little or no alternative accommodation in the social rented sector will burden social landlords with rising rent arrears and risks making people homeless. This is wrong and actually risks costing the tax payer more and will also push people into the more expensive private-rented sector. I have been out on the streets of Dundee campaigning against the Bedroom Tax, as the picture above shows, and there is no doubt in my mind that the people of Dundee are opposed to the Bedroom Tax. The decision made by Dundee City Council has been lauded in recent days. I am concerned that the policy of Dundee City Council is not quite all that has been claimed for it. In the Scottish Parliament's Welfare Reform Committee on Tuesday the former Convener of Housing, Cllr Jimmy Black, perhaps gave the game away by pointing out that eviction is still an option for Dundee City Council. I was really disappointed to see the Scottish Government reject Jackie Baillie's attempt to get them to legislate to alleviate the problems which will be caused by the Bedroom Tax. It is a shame that councils are being left as the last line of defence against this pernicious policy. In Dundee the budget to help people move to smaller accommodation is only £30,000, unfortunately this will not go very far. It is a shame that the SNP Scottish Government has not taken all the action it could. It is also a shame that the UK Government has not listened and has continued to push through this terrible policy. Kemback Street Consultation - Can Council get it right this time? Is the consultation to be taken seriously? If it is a genuine consultation why is a clear recommendation to close the centre made in the report? If the final decision is to be made at the end of the consultation why was Kemback Street excluded from the council's recent review of charges? Who runs the council and makes the decisions, is the councillors or the officials? The service users, parents and carers associated with Kemback Street have been treated shamefully by the council throughout this process. The council have had a complaint against them upheld by the Care Inspectorate over the previous consultation, and the families have been given leave to petition for a judicial review. I would have expected lessons to have been learnt. Instead we got a situation where service users, parents and carers and their representatives were 'telt' what was good for them by the SNP Administration. I asked a question about how the parents and carers could have confidence in the consultation being genuine when the report recommends closure at paragraph 4.9. I asked the Convener if he supported the closure he said that he did not, although earlier he had stated in relation to the personalisation agenda that it was 'inevitable that a day centre will close.' If it is not already his view that Kemback Street Resource Centre should close then why did he allow that to be included in the report. The content of the Committee Papers is a matter for the Convener. The Labour Group tried to amend the report so that parents and carers had some say over the appointment of the 'independent consultant' - this attempt was flatly rejected. If I were a parent or carer at Kemback Street I would find it difficult to have confidence in this process. Notwithstanding what I have said above I think that it is hugely important that everyone associated with Kemback Street has their say in the consultation. It is important that the council has as full a picture as possible on this issue. It is also important that the council learn lessons on this issue and ensure that consultation is open, fair and transparent. At Monday evening's City Development Committee there was a suggestion that roundabout's in the city should be sponsored. People who have visited Aberdeen for example will have seen roundabouts there are sponsored. The idea is that the Council will at the very least save the cost of maintaining the roundabouts. I moved an amendment which was accepted which meant that the sponsorship will be accepted from companies associated with alcohol; tobacco; any products which may contravene the Council's stance on equality and diversity; political parties or campaign; gambling and pay-day lenders. I think that the policy is now improved thanks to these changes. It is important that the Council looks for ways to increase its income but it must also take its social responsibilities seriously. The changes made have in my opinion improved the report. The only remaining question is why the report referred to 'roundabouts' and not 'circles' as people say in Dundee! At Monday night's Education Committee there was a report on progress towards the Curriculum for Excellence. The report put forward by the Education Director said that progress was being made towards the implementation of the new curriculum. We heard from Arthur Forrest one of the teacher representatives on the committee that teachers had concerns about many aspects of this, for example the availability of materials outlining the new examinations. Mr Forrest highlighted a recent survey by the EIS trade union which expressed concerns about the level of preparedness of the teaching profession. The conflicting and slightly confusing information that we were hearing from education professionals was something that worried me. I don't doubt the good faith of everyone taking part in the debate. It is crucial to me that no young person in Dundee is negatively impacted upon by the way in which the Curriculum for Excellence is implemented. I was glad to get confirmation from both the Convener and Director of Education that they are confident that no young person in Dundee will be disadvantaged by the implementation of Curriculum for Excellence. This is the most important aspect for the Education Committee; the committee needs to have confidence in this and I was pleased to be given such reassurance by the Convener and the Director. As ever though the proof of the pudding is in the eating. On Monday along with a wide-range of colleagues across a variety of political parties and other organisations I attended the meeting of the Remploy Action Group. I was disappointed to be made aware of the fact that the council would not be putting in a bid for the Remploy factory. This jeopardises all the jobs there. 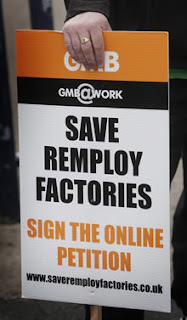 I hope that there is scope to find long-term sustainable jobs for all those involved at Remploy. The way forward may well be as a social enterprise. Despite claims that Dundee was the only council doing anything to support Remploy we heard that Stirling Council had made progress towards setting up a social enterprise, it would be good to know more about what they were doing. My Scottish Labour colleagues, Jim McGovern MP, Jenny Marra MSP and Councillor Kevin Keenan, and I sent out a statement at the end of the meeting which is below. We are committed to trying to help the workforce at Remploy as much as we can, and we will continue to work with them and their trade unions to try to find a long-term sustainable solution for them. Scottish Labour's representatives on the Remploy Action Group, Jim McGovern MP, Jenny Marra MSP, Councillor Kevin Keenan and Councillor Richard McCready made the following statement after the conclusion of the latest meeting of the Dundee Remploy Action Group. "We are extremely disappointed for the Dundee Remploy workers by the outcome of today's meeting. Our thoughts are with those Remploy workers who are now likely to lose their jobs." "We are very disappointed that the SNP Council will not be putting in a bid to save the Remploy factory." "They say they've not got enough information about the business, but there was an opportunity to take an unsustainable business and add UK Government, Scottish Government and Council contracts to create a new sheltered workplace in Dundee." "It needed political commitment from the SNP Council and Scottish Government which was sadly lacking. The Remploy workforce will be disappointed, as this is not the outcome they would have hoped for." "The PACE team will be involved and the Scottish Government need to deliver more than a Memorandum of Understanding and need to be serious about delivering jobs for Dundee." "We are committed to working on with the Remploy workforce and their trade unions to deliver the best possible outcome for the workers involved." Monday morning saw the final meeting of Tayside Fire and Rescue Board in advance of the Scottish Fire and Rescue Service taking over on 1st April. It was a relatively quiet meeting as many of the issues will become the responsibility of the new Scottish Fire and Rescue Board in just over a week's time. 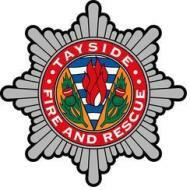 I will miss the Tayside Fire and Rescue Board, I felt that Tayside did deliver an excellent service. Tayside was particularly strong on prevention and especially home fire safety visits. I also thought that the board did an excellent job of representing the views of local people. It is crucial that the new national service is able to listen to the views of local people. Whilst this is going to be a national service it is important that the views of people in Dundee or Tayside are listened to. For example, twice as a member of the Tayside Fire Board I voted to retain full-time cover at Balmossie Fire Station. I did so because thousands of people in Broughty Ferry, Monifieth and the surrounding areas made clear that they were not convinced that the case had been made to change the cover they received locally. I know that the new national service has some excellent officers such as the new Chief Officer, Alasdair Hay, who was previously with Tayside Fire and Rescue Service. I wish him and his team all the very best as they take over. I know that they will see having a responsive service which pays attention to local needs is important. The new national Fire and Rescue service is based temporarily in Perth. If that is not going to be a long-term option then I think that the headquarters should be in Dundee. There is an excellent facility on Blackness Road which could easily be used as the national headquarters.